When Nonie Darwish was a girl of eight, her father died while leading covert attacks on Israel. A high-ranking Egyptian military officer stationed with his family in Gaza, he was considered a shahid,a martyr for jihad. Yet at an early age, Darwish developed a skeptical eye about her own Muslim culture and upbringing. Why the love of violence and hatred of Jews and Christians? Why the tolerance of glaring social injustices? Why blame America and Israel for everything? Today Darwish thrives as an American citizen, a Christian, a conservative Republican, and an advocate for Israel. 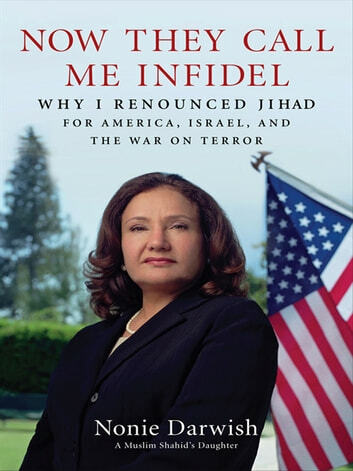 To many, she is now an infidel. But she is risking her comfort and her safety to reveal the many politically incorrect truths about Muslim culture that she knows firsthand.